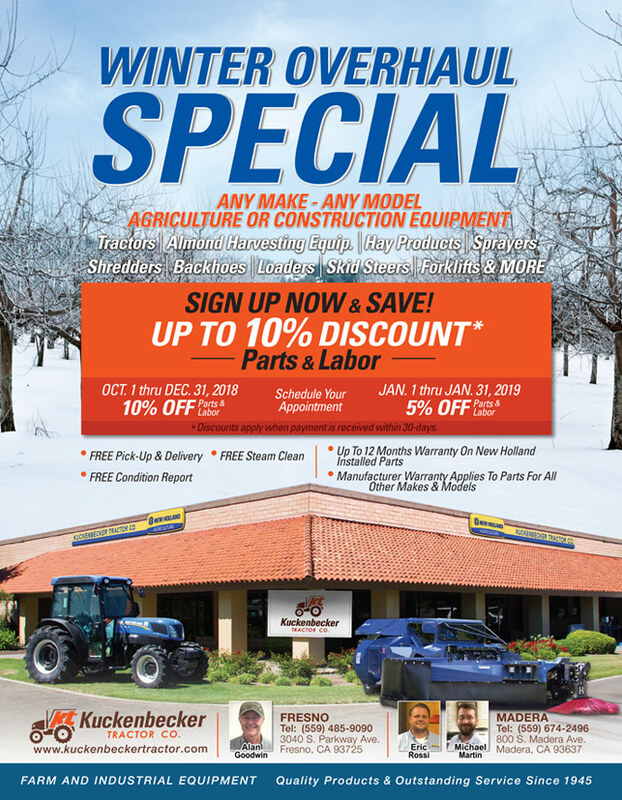 Tractors/Almond Harvesting Equipment/hay products/sprayers/shredders/backhoes/loaders/skid steers/forklifts & More! Up to 12 months warranty on New Holland installed parts. Manufacturer Warranty applies to parts for all other makes and models. *Discount applies when payment is received within 30 days.